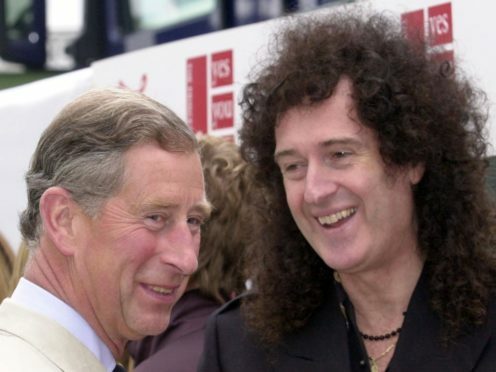 The Queen guitarist recalled with pride his appearance in an all-star band backing Joe Cocker, in a video message available on the new Prince’s Trust Music site. Speaking about the 1988 event staged at the Royal Albert Hall, he said: “It was an amazing, amazing experience and there have been many amazing experiences brought about by the Prince’s Trust. May’s words were echoed by former Boyzone singer Ronan Keating and Level 42 frontman Mark King when they joined a host of celebrities at YouTube’s offices in London for the launch of the project. Four decades of exclusive performances from Prince’s Trust Party In The Park, Rock Gala and Fashion Rocks concerts are featured on the site to celebrate the charity’s musical heritage and raise funds to support its work. The channel showcases appearances by Kylie Minogue, Bryan Adams and Eric Clapton and will feature new tracks, interviews with the Trust’s celebrity ambassadors and exclusive content from singer-songwriters who have been supported by the youth charity. Keating officially switched on the channel, which features 11 of his tracks as a solo artist and with Boyzone. He said: “I have performed at a number of Prince’s Trust events, including Party In The Park no fewer than four times – in ’98 and ’99 with Boyzone and solo in 2000 and 2001. “Those events were incredible, with 100,000 people packed into Hyde Park. The Trust was founded by the Prince of Wales and grew out of his concern that too many young people were being excluded from society through a lack of opportunity. In 1976, when Charles left the Royal Navy, he used the £7,400 he received in severance pay to fund a number of community schemes. These early initiatives were the founding projects of his charity. Over the past decades, it has grown to become one of Britain’s leading youth charities and has reached hundreds of thousands of young people, with three in four achieving a positive outcome – moving into education, employment or training. Level 42’s King said: “My first experience of performing at the Prince’s Trust Rock Gala is one I’ll never forget. The atmosphere was electric and it was a real privilege to play for such an incredible audience, as well as such a worthwhile cause.